As the GameStickcampaign continues to gather support, the team behind Kickstarter´s next success story today announced new stretch goals if they manage to hit higher targets. GameStick raised the initial funding goal of $100,000 in just 30 hours. “We have been inundated with messages of support and suggestions on how to improve GameStick fromboth the gamers & developers worldwidewho backed our project. Being at the pre-production phase, we have been able to incorporate a lot of these ideas into our roadmap. We were not prepared for that level of input but it has been fantastic.” Said Anthony Johnson, CMO, Playjam. If the campaign reaches $320k, a goal that, following trend analysts Kicktraq, the team will soon hit, GameStick will be made available in both black and white. “People have asked about ways we can further personalise GameStick and giving people a choice of colour is a great way of achieving this” Said Johnson. 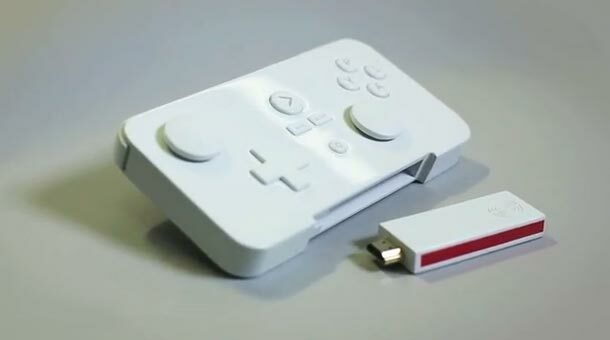 While GameStick provides free cloud storage for games, one of the most popular requests from the Kickstarter community has been for additional memory options so that more content can be carried when on the move. The team have responded with an additional stretch goal of $560K, which will enable the inclusion of a MicroSD slot to facilitate this. In order to allow existing backers to increase their pledgesand for new backers to have a wider range of options when pledging, an additional tier has been addedwith more in the works. For $89, an additional $10 for those who have already pledged for the standard GameStick bundle, backers will now also receive a carry case to make transportation of the ‘World´s most portable Games Console’ even more convenient. “Kickstarter is proving to be a wild ride for the team behind GameStick. Hitting our original target so early goes to show appetite out there for continued innovation around affordable gaming on the big screen. We want to see how far we can go with this and hope that all those who have pledged will help spread the word to see just how far we can go!” Concluded Johnson.